Artemisinin-based combination therapy has become the standard antimalarial therapy recommended by the World Health Organization. The World Health Organization believes that artemisinin combination therapy is the most effective way to treat malaria at present, and is also the best drug to resist malaria resistance. 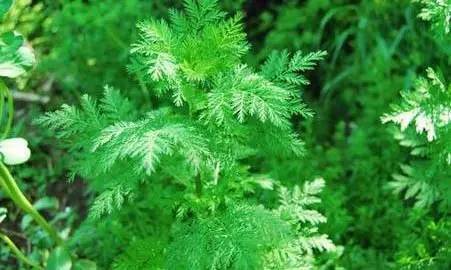 In addition, artemisinin also shows attractive prospects in the treatment of other diseases. Such as anti-schistosomiasis, regulating or inhibiting humoral immune function, improving lymphocyte transformation rate. Artemisinin is the most popular specific antimalarial drug after pyrimidine, chloroquine, and primaquine. Especially for cerebral malaria and chloroquine-resistant malaria, artemisinin has the characteristics of quick-acting and low-toxicity. Its anti-malarial mechanism mainly lies in the formation of free radicals through the activation of artemisinin and the binding of free radicals with Plasmodium proteins, acting on the membrane structure of Plasmodium, destroying its vesicles, nuclear membranes, and plasma membranes, swelling of mitochondria, exfoliation of inner and outer membranes, thus destroying the cell structure and function of Plasmodium, and also destroying the chromatin in the nucleus. To a certain extent. Artemisinin also significantly reduced the intake of isoleucine by Plasmodium, thus inhibiting the synthesis of proteins. The antimalarial effect of artemisinin is related to different oxygen pressure. The higher the oxygen pressure, the lower the half effective concentration of artemisinin to Plasmodium falciparum cultured in vitro. Reactive oxygen species (ROS) not only directly destroy the parasite, but also damage red blood cells, leading to the death of the parasite. Artemisinin not only has a good killing effect on Plasmodium, but also has a certain inhibitory effect on other parasites. The anti-tumor effect of artemisinin has been gradually discovered. Artemisinin can cause the apoptosis of breast cancer cells, liver cancer cells, cervical cancer cells, and other cancer cells, and has a significant inhibitory effect on the growth of cancer cells. The anti-tumor effect of artemisinin and its derivatives is mainly achieved by inducing cell apoptosis. 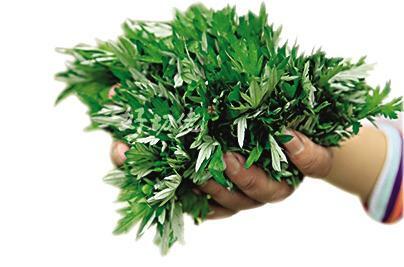 It has been found that artemisinin kills cancer cells by inducing cell apoptosis. Dihydroartemisinin can play a selective cytotoxic role by increasing reactive oxygen species, thereby inhibiting the activation of hypoxia-induced related factors. Artemisinin also inhibits human colorectal cancer cells in a dose-dependent manner. It has been found that artesunate inhibits the proliferation and promotes apoptosis of human colorectal cancer cells in a dose-dependent manner. Mitochondria are amplifiers and receptors of cell apoptosis, which regulate and control the metabolic activities of cells. Mitochondrial membrane potential induces cell apoptosis. Artemisinin acts on the cell membrane of leukemia cells, change the permeability of cell membrane, and increases the concentration of intracellular calcium ions, which not only activates calpain and makes it swell and die, but also promotes the release of apoptotic substances and accelerates apoptosis. It was found that artemisinin and its derivatives could inhibit T lymphocyte mitogen and induce splenic lymphocyte proliferation in mice without causing cytotoxicity. This finding has a good reference value for the treatment of autoimmune diseases mediated by T lymphocyte. Artemisinin can enhance the non-specific immunity and increase the total complement activity of mice serum. Dihydroartemisinin can directly inhibit the proliferation of B lymphocyte, thereby reducing the secretion of autoantibody by B lymphocyte, alleviating humoral immune response, inhibiting humoral immunity to some extent, and reducing the formation of the immune complex. The antifungal effect of artemisinin also makes artemisinin exhibit certain antifungal activity. The study confirmed that artemisinin residue powder and water decoction had a strong bacteriostatic effect on anthrax, Staphylococcus epidermidis, catarrhalis, and diphtheria bacilli, and also had a certain bacteriostatic effect on tuberculosis bacilli, Pseudomonas aeruginosa, Staphylococcus aureus, and dysentery bacilli. Artemisinin can also be used with Cordyceps sinensis in the clinic, which can inhibit the recurrence of lupus nephritis and protect the kidney. Its anti-fibrosis effect can significantly reduce the degree of pulmonary fibrosis, and has a good practical prospect for the prevention and treatment of scar.